Ho Chi Minh City, Vietnam — known locally as Saigon — is a chaotic, thrilling city of dichotomies. Whether you’re here on business or taking a motorcycle adventure along the Ho Chi Minh Trail, the Pearl of the Far East is a city constantly in flux as the metropolitan area continues to densify. From hostels to 5-star hotels, street food to fine dining, road-side beer stalls to award-winning microbreweries, Saigon rewards those who are able to scratch beneath its lively surface. Below, our guide to navigating the endless, honking sea of motorbikes and vendors to make the most of a city that, like its namesake river, is always moving and changing. 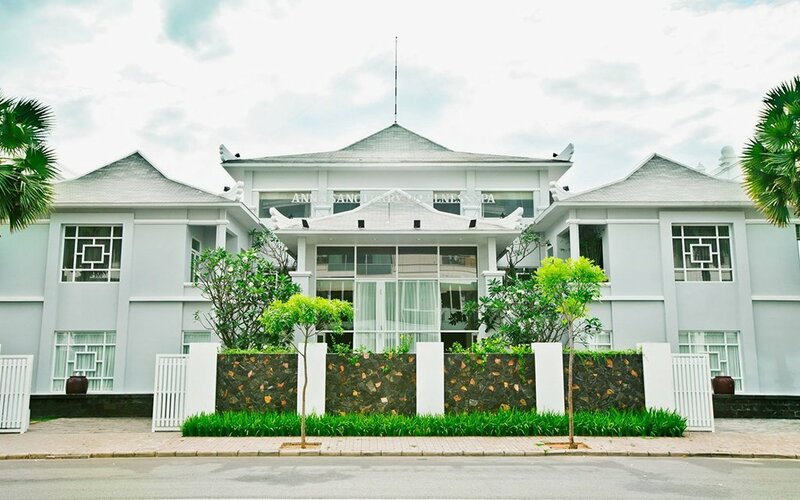 In the heart of downtown sits this lush, eccentric boutique hotel with rooms decorated with antiques and relics of old Saigon. Drop your bags and stroll the riverfront along the rows of colonial-era buildings. Keep strolling. For an option one notch posher, this newly opened hotel is a short walk from local treasures like the War Remnants Museum and Independence Palace. Amenities are all 5-star, but the Social Club Rooftop Bar is the kicker if you like stiff cocktails over a city sunset. It’s only a 15-minute boat ride up the Saigon River, but the tropical retreat feels worlds away from the city. Their complimentary speedboat shuttle connects you to the downtown area throughout the day. This longstanding, no-frills establishment is where you want to bow your head over a piping hot bowl and sweat out last night. Serving up Vietnamese classics with a modern twist in an upscale setting, you can feast on Caramel Tiger Prawns and Mekong Delta Elephant Fish on the rooftop. Drinking coffee is a national pastime in Vietnam, and if you want to enjoy it street-side, as the locals do, post up on a shady bench in Reunification Park, across the street from Saigon’s Notre Dame Cathedral. A vendor will soon appear, ready to prepare a cà phê sữa đá (iced coffee with condensed milk). Set in a French colonial villa, the Vietnamese countryside-inspired dishes have drawn the likes of Brad Pitt and Angelina Jolie. Good enough for A-listers, good enough — and then some — for us. On the fashionable walking street of Nguyen Hue, where you’ll find such brands as Burberry and Chopard, there’s one ramshackle building that’s decidedly out of place. Set across nine floors, the converted apartment complex holds an assortment of chic little cafes and boutique shops that you could and should take an entire afternoon to explore. A three-room B&B with a stylish writer’s loft for $29 a night. If soup for breakfast ain’t your bag, you’ll be happy to find eggs, potatoes, bacon and bloody Marys downstairs. Fifteen minutes from the city center in the expat enclave known as Thao Dien, The Deck is as supreme a spot as you’ll find for cocktails overlooking the Saigon River. Alternately, you can book a sunset cruise on the river for an altogether different experience. A bottle of homemade rum, kindergarten-sized chairs and raucous, flushed-faced locals … what’s not to love about that? You’ll find this sidewalk gathering at 15 Phan Văn Đạt in District 1. A booming industry in Saigon, there are plenty of breweries worth checking out, such as Heart of Darkness, Pasteur Street Brewing Co. and BiaCraft. But for a craft beer bar that’s quirky and low-key, head to Nông Trại Khoai. War Remnants Museum: It’s a heavy but necessary stop in Saigon. Put a few hours aside to learn about the war from the Vietnamese perspective, and then be prepared to get a drink after. 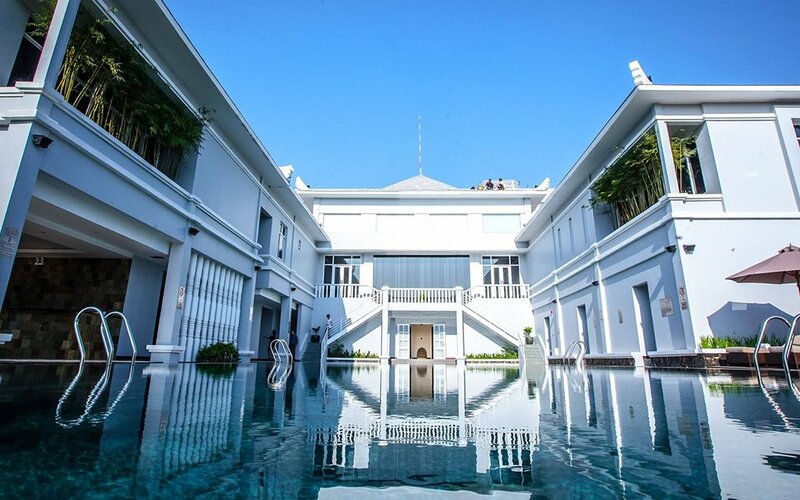 Anna Sanctuary and Wellness Spa: For VND 120,000 (less than $6), you can treat yourself to a day at the lush infinity-edge pool. Inside the repurposed villa, you’ll find a first-class spa. Saigon Central Post Office: Built between 1886 and 1891, take in the neo-Baroque inspired post office, a centrally-located architectural gem designed by Marie-Alfred Foulhoux, and send a postcard home while you’re at it. The Factory: A contemporary art center housed in a converted warehouse where you’ll find exhibits from local artists, creative workshops and film screenings, as well as a restaurant, bar and lounge area. The Sympathizer: The canon of Vietnam War literature is endless, but all too few present the Vietnamese perspective. Vietnamese-American author Viet Thanh Nguyen changed that with the Pulitzer Prize-winning tale of a double agent after the Fall of Saigon. The Quiet American: Bring a copy to Le Bourgeois Restaurant, Graham Greene’s old stomping grounds at the famed Continental Hotel, and dive into this classic thriller set during the First Indochina War. Tree of Smoke: The late Denis Johnson’s magnum opus, this novel is centered around a military unit specializing in psychological warfare against the Viet Cong.